Open File Explorer and click This PC, then click C: Drive, then click Program Data, then click Microsoft; then click Windows; then click Start Menu; then click Programs… by why do all that? That immediately opens the folder. Or you could just replace the user name with your username and paste the file path in a Run dialog and you’d be at your destination in less than a second. It’s kind of like having Scotty beam you over. Then press Enter or click “OK”. Some file paths vary by version of Windows. Windows 10 file paths can vary by version of Windows 10. 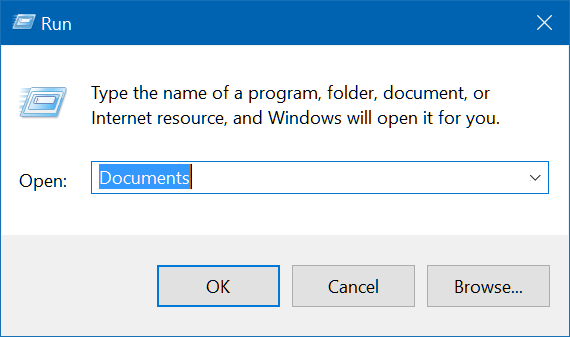 The lesson here is that you can paste a file path in a Run dialog and open a folder or file quickly, without using File Explorer and drilling down through several directories, and you can do this whether you’re using Windows 7, Windows 8x or Windows 10. You can start Windows Calculator by typing CALC in the Run box and pressing Enter. You can start WordPad by tying WRITE in the Run box and pressing Enter. You can start Notepad by typing NOTEPAD in the Run box and pressing Enter. You can start Character Map by typing CHARMAP in the Run box and pressing enter. There are a lot more too!